"I can make people feel what it's like to be alive." Yes you can, Van Gogh, yes you can. Following the Venice, Telluride, Toronto Film Festivals, the next big North American festival is the New York Film Festival. Celebrating its 56th year, the New York Film Festival kicks off on September 28th - the end of this week - and runs 17 days in total. It's hosted by the Film Society of Lincoln Center inside many of the finest cinema venues around the city, and they're showing some of the very best films from around the world. The fest has revealed a short 60-second trailer to mark the launch, and it's worth a watch. Just to get a quick dose of all these great films in only 60 seconds of time, and to remind you there's always more invigorating cinema to discover. In addition, the new poster designed by Ed Lachman and JR has been unveiled as well. See below. Click for info on the poster. 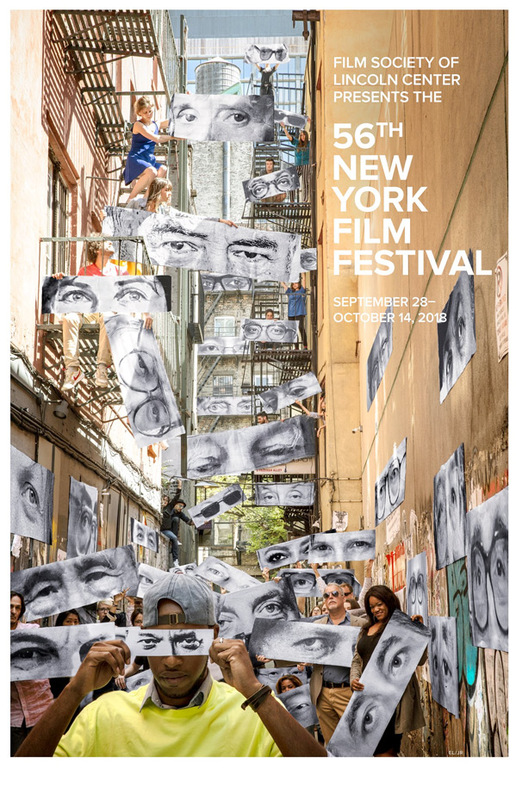 The 56th New York Film Festival runs from September 28th to October 14th at the Film Society of Lincoln Center in New York City, located on the Upper West Side. Tickets are on sale. See the lineup and reserve your seats here. The 17-day New York Film Festival highlights the best in world cinema, featuring top films from celebrated filmmakers as well as fresh new talent. Since 1963, NYFF has brought new and important cinematic works from around the world to Lincoln Center. In addition to the official selections, the festival includes newly restored classics, special events, filmmaker talks, panel discussions, the avant-garde showcase Projections, and much more. This is one of the best festivals in the world, and the line-up this year is stellar. So many fantastic films to go see. Follow @TheNYFF for updates.